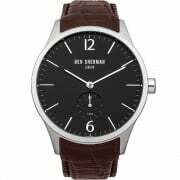 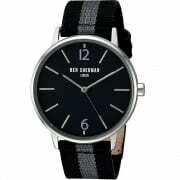 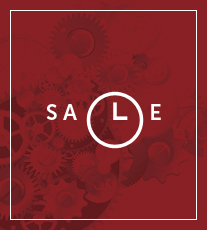 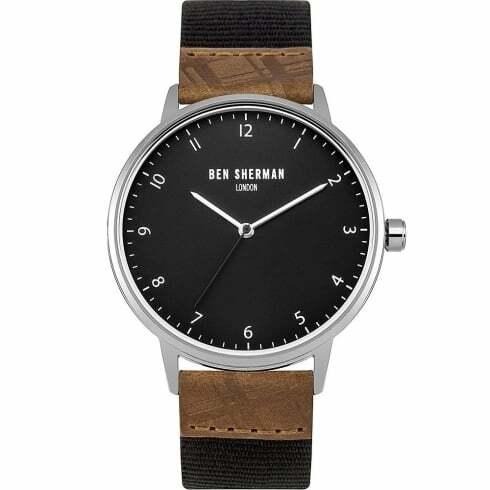 The Classic WB049TE from Ben Sherman is a mens fashion watch with a nylon strap. 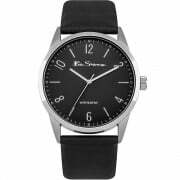 The WB049TE has a grey grey analogue dial with arabic markers. 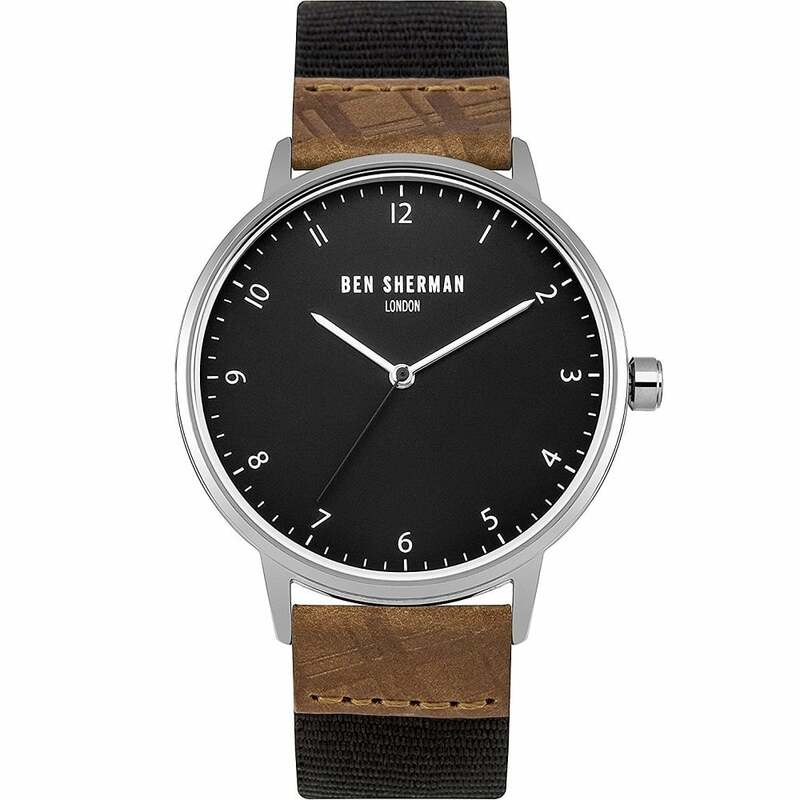 The case of the Ben Sherman WB049TE is 40mm wide, 44mm high, and has a thickness of 8mm. 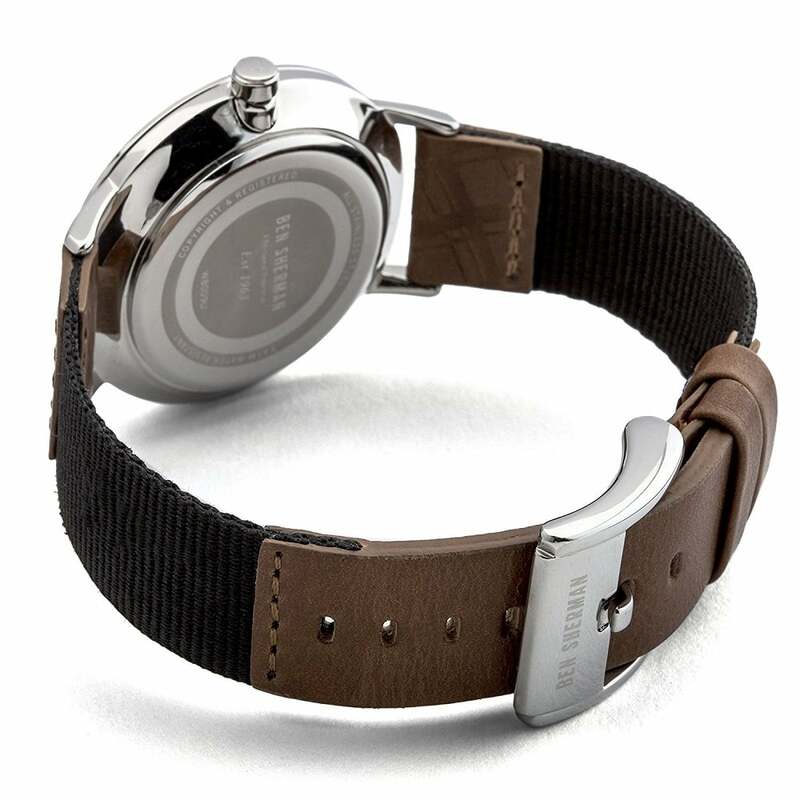 The case of the WB049TE is made from stainless steel and has a chrome finish. 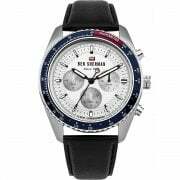 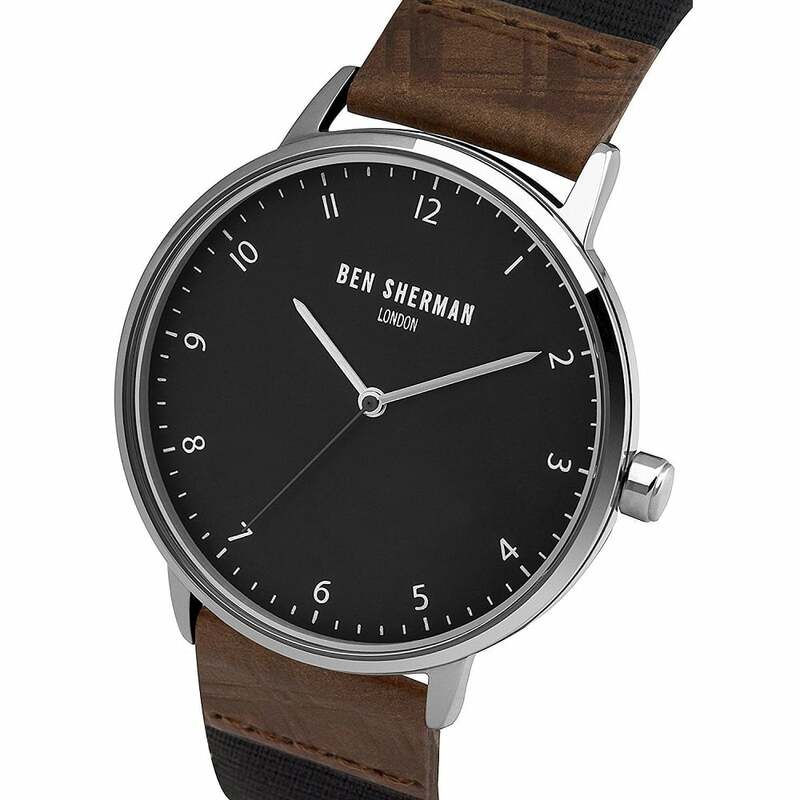 The Ben Sherman WB049TE has a nylon strap and fastens with a buckle. 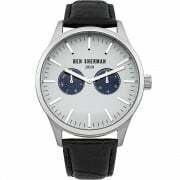 The WB049TE is rated 30m water resistant (3 atmospheres) and suitable for light bathing but not swimming or diving.